A magnet for young professionals and students in recent years, Newcastle has been named as the UK's 'Best University City' for the past three years running by MSN. Home to over 100,000 students across two leading universities, Newcastle has developed a reputation for academic excellence in recent years. The industrial powerhouse of Newcastle is the chief centre of the Tyne & Wear county – traditionally part of Northumberland. 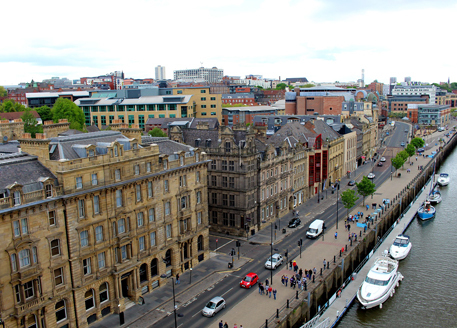 A city with famous character and culture, Newcastle has always been an important cog in the life of Britain and the United Kingdom – from its historical contribution in sea trade to its modern prominence as the commercial hub of the north. The city of Newcastle has a relatively small population when compared to other northern cities, with approximately 280,000 residents. As a result of its isolation as a city, the population swells on a daily basis as thousands of commuters enter the city from the surrounding area. When taking into consideration the surrounding areas, Tyneside has more than 850,000 residents and the Tyne and Wear county can boast more than a million. If you look anywhere for lucrative buy-to-let investments, Newcastle is at the top of many lists. The city has evolved itself into a place where industries are thriving, investments are pouring in and more students and residents are flocking to the city for a piece of the action. All of this and more has made residential property investment in Newcastle very attractive, with city centre post codes coming in at an average price of just £174,449 (Zoopla). However there are plenty of locations around Newcastle that are proving to be very popular with buyers – and even more popular with investors, with yields starting from around 5% and reaching highs of 10%. For more information on our buy-to-let property investments in Newcastle, contact Hopwood House today. With an endless supply of student tenants, high net yields and three major universities, student investment property for sale in Newcastle is a worthwhile investment for any savvy investor, either from overseas or from the UK. Whilst industrial links have lessened since the early 20th century, Newcastle has since become the central hub of the North East area – both commercially and educationally. 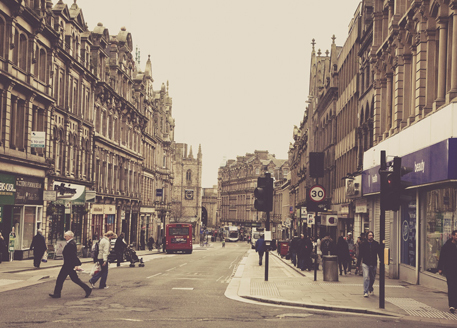 A number of shopping centres make the city one of the most diverse retail locations in the UK when compared to the population. For more information on our student accommodation investments in Newcastle, contact Hopwood House today. A multicultural atmosphere throughout the city owes to a comparatively low White British majority of 81.9%, with the remainder made up of a 7.6% Asian population, 2.0% Black and 2.2% Chinese. Aside from the positive development of Newcastle, there is something else drawing people into the city; its culture. As Newcastle is most famous for its distinguishing ‘Geordie’ dialect and character, visitors and those looking to relocate are seeing the city as a jovial and vibrant place to live. The major export and icon of Newcastle is the famous Newcastle Brown Ale, whilst Newcastle United Football Club also contributes to the city’s unique personality. 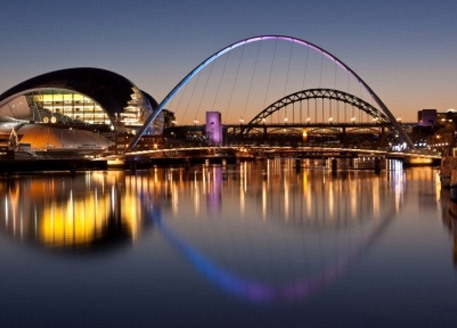 Both tourists and residents can appreciate what the city has to offer, it would be difficult to explore Newcastle without visiting the city’s iconic bridges, Angel of the North, The Sage and even the Baltic Contemporary Museum of Art. Newcastle isn’t named as one of the best connected cities outside of London for no reason. Connection to the estuary and coastline made Newcastle an important transport and trade hub during the mid-to-late century, something which has declined since road and rail. 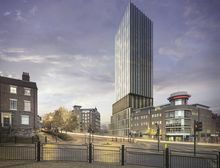 The HS2 will also be connecting through Newcastle and Durham, giving people more opportunities for those who live further south to travel to the northern city. Improving the cities transport links will no doubt have a positive impact on the local economy, job prospects and house prices, creating further opportunities to achieve positive ROI through property investment in Newcastle. The nearest large city, Carlisle, can be reached in just over an hour – but journey times to Glasgow, Manchester, and Liverpool are close to a 3-hour journey. The city does boast the largest airport serving the North East area, which is also the fastest growing regional airport in the country. Newcastle Central Station represents the main mode of travel, opened by Queen Victoria and designed by Robert Stephenson. Looking for property investment in Newcastle?